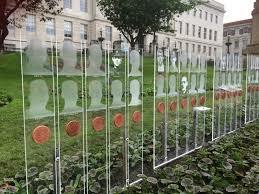 Great news that Light Lines – the artwork that commemorates the 300 Barnsley soldiers who fell on the first day of The Battle of The Somme – will have a permanent home in Churchfields Peace Gardens opposite St Mary’s Church. When it was at the front of the Town Hall, Light Lines received a national Civic Trust Award. Barnsley Civic Trust planning group has supported the planning application for the artwork’s new location. We sought confirmation that this was the best site – since in front of the Town Hall might have been an option. We also weren’t sure that having white shiny gravel under the slabs was the best choice bearing in mind the millstone grit of the wall and buildings. It will be great to have the fantastic artwork on show for the foreseeable future. This entry was posted in Artwork, Planning. Bookmark the permalink. Barnsley Civic Trust is an independent, non political, voluntary organisation made up of local people who live or work in Barnsley or run a local business. We speak up for local people and help local people have a voice and influence local developments. 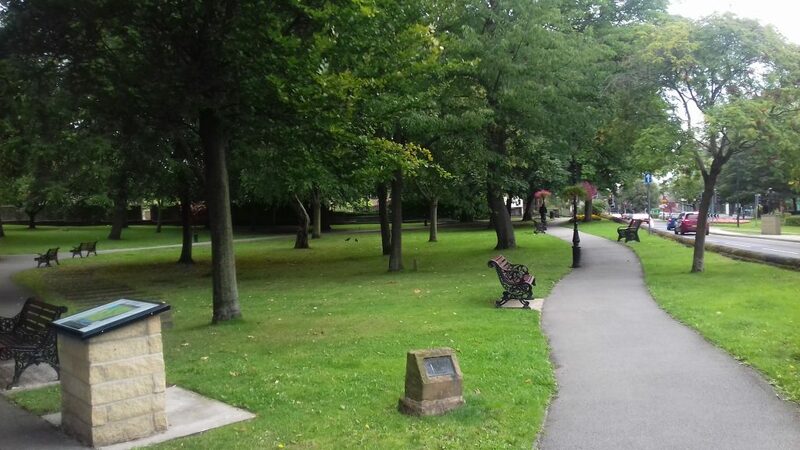 We work to make Barnsley and its surroundings more attractive and distinctive. Caring for our borough and shaping its future: a Barnsley Voice for our community and business. An independent, non political, voluntary organisation made up of local people who live or work in Barnsley or run a local business.